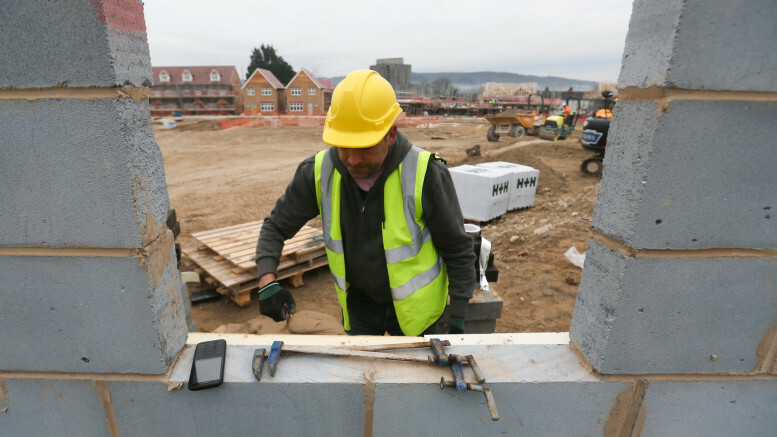 UK construction sector eased slightly in December following an uneven recovery in business activity at the end of 2017. The Construction PMI stood at 52.2 in December, slower than the 53.1 recorded in November but above the 50 that separates expansion from contraction, the IHS Markit UK reported on Wednesday. According to the report, residential building remained a key engine of growth in the month, with residential activity growing for the sixteenth consecutive month in December. 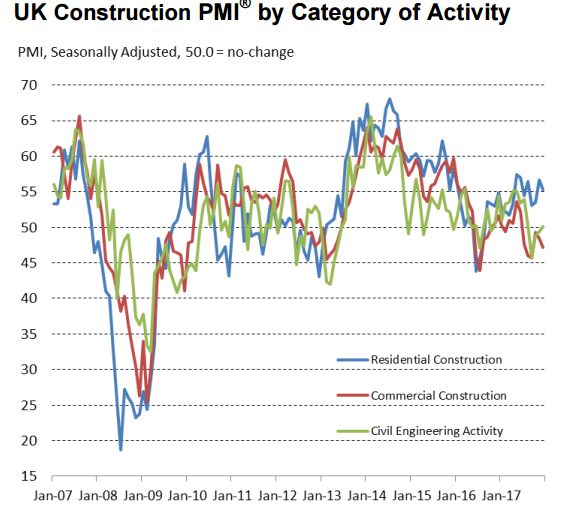 “The UK construction sector achieved a moderate expansion of business activity at the end of 2017, although the recovery remained uneven and slowed overall since November. Construction companies indicated that another strong contribution from house building helped to offset subdued civil engineering activity and reduced volumes of commercial work,” stated Tim Moore, Associate Director at IHS Markit. 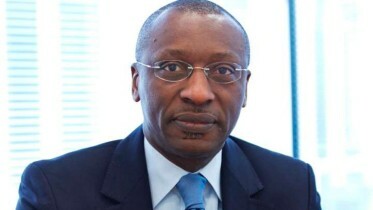 However, commercial construction weighed on the result as the subsector continued its downward trend for a sixth consecutive month in December. Also, the data indicated growing demand for construction projects as shown by the fastest upsurge in new orders since May. The total new orders grew at the fastest pace in seven months in December, this, experts believed will provide a positive signal for construction workloads in the near term. But business confidence in the sector remained weak, largely reflecting the uncertainty surrounding domestic economy amid growing Brexit concern. “Business optimism was subdued at levels not seen since 2013, but the improvement in new order growth in December contributed to the biggest surge in job creation since June,” Tim added. This was after manufacturing PMI report showed the sector expanded at a slower pace than expected in December. Suggesting that despite the overall growth reported in 2017, business activities may be moderating pending when investors and businesses will have a clearer picture of UK’s 2018 economic outlook. The pound pulled back against the US dollar to $1.3562, down from $1.3612.